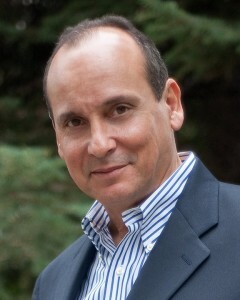 Dr. Gary Rodriguez is president of LeaderMetrix (LeaderMetrix.com), a consulting company that specializes in senior-level executive coaching and conflict resolution. His extensive resume includes eighteen years as an executive in the radio business where he spent several years as one of the original managers of Infinity Broadcasting. He also served as Vice President of Mariner Communications where he had oversight of radio stations in Boston, Cincinnati, and Kansas City. He also managed stations in Jacksonville, Florida and San Jose, California, and was twice nominated as medium market manager of the year by the Bobby Poe report, a national media publication. Having worked successfully as both a CEO and a President, Gary understands the issues and challenges facing today’s leaders. He is uniquely qualified to partner with senior leaders in public, private, and non-profit organizations. He is also certified in coaching from Hudson Institute of Santa Barbara. For over thirty-five years, Gary has spoken in public both nationally and internationally. He also coaches speakers and senior leaders in corporations, churches, and non-profit organizations. For his service in the U.S. Army while serving in Viet Nam, he was awarded the Silver Star for valor.